When your general dental appointment indicates the need for additional or specialized dental services, California Dental Care & Orthodontics is proud to have the resources and experienced team to address all aspects of oral health in the same office. Our patients are happy that they don’t have to go elsewhere for specialized services, such as sedation dentistry in Rancho Cucamonga. What Are Your Options for Sedation Dentistry in Rancho Cucamonga? Oral Conscious Sedation – This type of sedation is achieved without any needles. Instead, you simply take a prescribed dose of medication about an hour before your appointment. A number of oral agents developed especially for these purposes are safe and have been used for dental procedures for decades. Inhaled Minimal Sedation – This method has been used in dentistry for over a century and is considered completely safe, even for its use in children. With a mask placed over your nose, you breathe in nitrous oxide – also referred to as “laughing gas.” This classic type of sedation is effective because it relaxes patients quickly, but also wears off rapidly once the mask is removed. IV Sedation – You receive the sedating medication through a vein, which quickly takes effect. This option for sedation also gives our dentist the ability to adjust the dose if necessary. Interested in Stress-Free Dental Treatment with Sedation Dentistry in Rancho Cucamonga? We know how much our anxious patients appreciate our numerous sedation options. 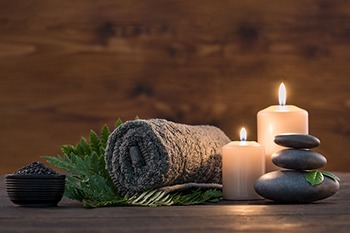 If you or a loved one are looking for a calm and relaxing experience at your next appointment, be sure to let us know when you speak with one of our helpful team members. Contact us today by calling 909.945.0024 or click here to request your appointment. As one of the premier dental and orthodontic practices in Rancho Cucamonga, CA, our team at California Dental Care & Orthodontics also provides sedation dentistry options to patients from Alta Loma, Ontario, Upland, Claremont, Fontana & Rialto, CA.